"윙 더 시그니처 2015(WING-The Signature 2015)"는 비보이 "윙(WING)"의 시그니처 무브인 "A-Freeze"를 형상화한 핸드메이드 아트토이다. 헤이컨텐츠 소속 아티스트 "스케"가 제작을 맡아 3D 렌더링 작업을 통해 "윙"의 복잡한 스텝과 하늘을 나는듯한 현란한 무브, 얼굴 표정까지 200mm 사이즈 안에 정교하게 표현해냈다. 소재는 레진을 사용했으며 팔, 다리, 몸통 등을 따로 만들어 조립하는 방식으로 제작해 사실감을 더한 것이 특징이다. 레드불은 레드불 비씨원 아시아태평양 지역 결선 개최를 100일 남짓 앞두고 "윙 더 시그니처 2015"를 한정 판매한다. 판매 수량은 기본 컬러인 그레이 에디션 30개와 스페셜 에디션인 크롬 에디션 2개, 골드, 실버, 화이트 에디션 각 1개씩 총 35개이며, 모든 피규어에는 "윙"의 친필 사인이 새겨져 있으며 특히 골드 에디션의 경우 "윙"이 소장하고 있는 것을 제외하면 전 세계에 단 한 개만 존재하기 때문에 소장 가치가 더욱 높을 것으로 예상된다. 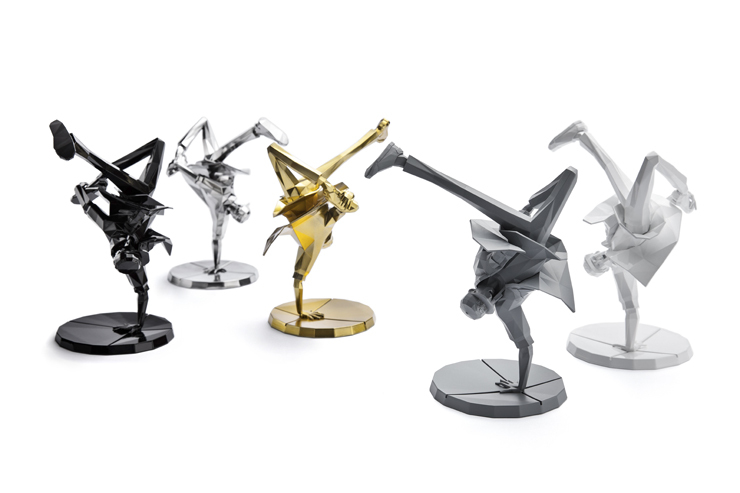 “WING-The Signature 2015” is a hand-made art toy, depicting b-boy Wing’s signature move “A-Freeze.” The 200mm-tall figure precisely captures Wing’s every move, from complex steps and sky-dancing acrobatic moves to even his facial expressions. The figure was rendered in 3D by animation sketch-artist “Skeh” associated with Hey Contents, using resins for each arms, legs, and torso which are assembled into an entire figure, giving a real-life appearance. “WING-The Signature 2015” will be released as a limited edition, starting 100 days before the Red Bull BC One Asia Pacific Final 2015 is held. A total of 35 figures will be available in basic grey (30EA), special chrome (2EA), and gold, black and white (1EA each).